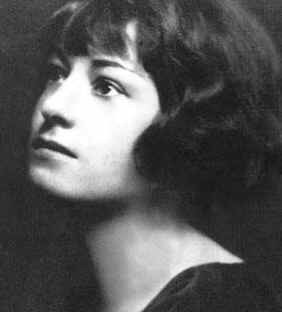 In 1914, 21-year-old Dorothy Parker was hired by Vogue magazine in New York as an editorial assistant. By 1918 she was a staff writer for Vanity Fair where she began penning play reviews in place of an on-holiday P.G. Wodehouse. The way she wrote – how to describe it? This was something new: cute as a button, sharp as a tack; the driest gin with a drop of grenadine syrup. After two years the editor fired her for offending a bigwig producer (Broadway impresario Flo Ziegfeld), but she had already made a name for herself as a “fast woman” – fast with words, that is. Throughout the 1920s she would contribute several hundred poems and numerous columns to Life, McCall’s, Vogue, The New Republic, and The New Yorker (where she was one of that magazine’s earliest contributors when it began publishing in 1925.) 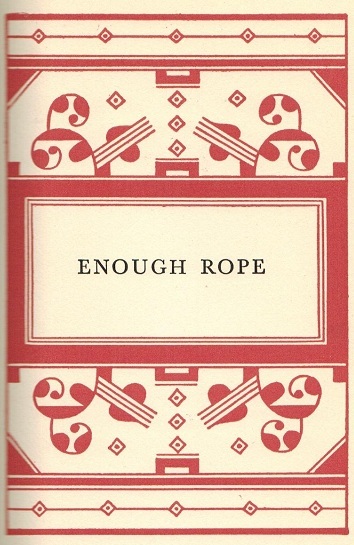 Whatever her snappy, clever, seemingly off-the-cuff social commentaries projected – whether in theatre / book reviews or luncheon quips as a “member” of The Algonquin Round Table – Dorothy Parker’s poetry dealt much in love’s loss or love’s rejection; melancholy and sorrow; the appealing thought of one’s own Death. Parker is a poet who’s just right to feature on All Souls Day. Indeed, she made the magnetic appeal of Death plain in her book titles: Death and Taxes, Laments for the Living, and Here Lies. We celebrate her peculiarly morbid liveliness with words, a liveliness she displayed even when she was really really down and joked – seriously – as only she could – about suicide. Quoted in Vanity Fair in 1925, Parker proposed that her epitaph be: “Excuse my dust.” Mistress of self-deprecation or being on the attack; vulnerable and wistful or hard as nails; Parker was such things. This made her – still makes her today – a complex ‘read’. But she’s worth it. Born in 1893 to a German-Jewish father and a mother of Scottish descent who died when Dorothy was four years old, Parker (her married name from her first husband, a Wall-Street stockbroker, in 1917) – referred to her stepmother, whom her father married in 1900, as “the housekeeper” – early evidence of that wise-crack wit. Her father died in 1913, and by then Parker was already earning a living playing piano at a dance studio…and beginning to work on her verse. But even by the time she reached middle age she remained insecure about her literary abilities. And upon her death in 1967 – of a heart attack, not suicide – she was living in an apartment-hotel in Manhattan and was – in truth – “forgotten but not gone.” In a 1956 interview in The Paris Review she stated: “There’s a hell of a distance between wise-cracking and wit. Wit has truth in it; wise-cracking is simply calisthenics with words.” For this was one of her gnawing worries: was she just a wise-cracker and not a true wit? In fact, she was both – and in the New York of the 1920s – at least until the Wall Street “crash” of 1929 – there was room for the two; the wise-cracker got more press, though. One of her best poems combines both wise-crack and wit, in the right balance – perhaps something only she could do. Wild and fickle and fierce is he. Gay young Death would have none of me. Hear them clack of my haste to greet him! No one other my mouth had kissed. False young Death would not hold the tryst. Proud young Death would not turn his head. Death went galloping down the road. Gone’s my heart with a trifling rover. And rode away with a prettier maid. All the years, as now. Would it were not so! Little will I care or know. Slip and join and go. Here’s his flower in my hair. Will he see me fair? I sit looking at the floor.